4 players from 4 different teams - 4 different perspectives. The league put out a challenge to 4 players that were about to participate in this year's Finals - keep a running diary of their entire day - from the time they woke up, to the time they went to sleep. 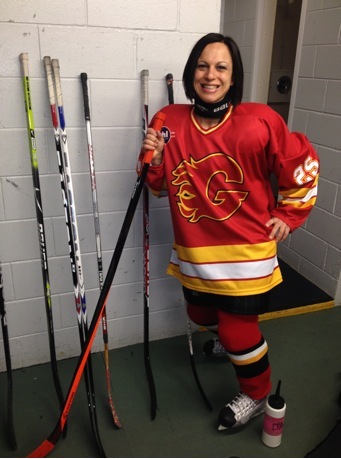 Hello, my name is Lisa Brown and this is my third winter season playing in the GHL. I was a hockey fan growing up but never had the opportunity to play until I joined the GHL in 2011. I was hooked after playing hockey for the first time during the GHL try-ins and was honoured to win the Rookie of the Year award for the 2011-2012 winter season. Near the end of every GHL season I look back and think Hockey doesn't get any better than this. This year was no different. Although the Penguins stayed in 3rd or 4th place the entire regular season, something very cool happened in the play-offs. We came together as a team and earned our way to the championship game undefeated. The whole season there has been nothing but fun and excitement on the bench. 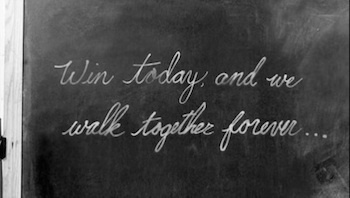 Our entire team, including our coaches, have been "all-in" from day one. Even if we come in second this year we've had a memorable season we can be proud of. 7:00 am - NO MORE SLEEPS. Today is the day of the GHL Minor Championship game and I am going to be a part of it. The Penguins take on the mighty Flames at 800 pm tonight! 11:00 am - A good time to shoot a game of pool to practice my angles for chipping the puck up the board. 1:00 pm - I guess I missed lunch. I'll make up for it at dinner. 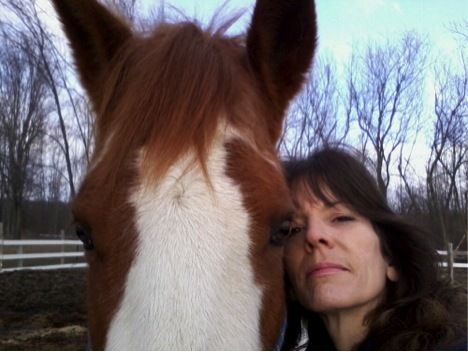 3:00 pm - While checking on the horses before supper I make sure I get a good luck hug from Willow before I go. 5pm - For supper, a reasonable portion of tri-colour cheese tortellini alfredo with pesto and sun dried tomatoes for maximum energy and perhaps a little bit of decadence. Although I would prefer a glass of wine I will stick with water. 6:30pm - As I pack up my equipment to get ready to leave for the arena, I fold in my Penguins number 5 jersey for the last time. Despite never being overly fond of the ice blue jersey, I feel a little sad that it is almost time to give it back. 6:45pm - I'm packed up and on my way to the arena when this song keeps repeating itself over and over in my head. "Da da da da da DA DAAA" It's Hockey Night in Virgil! 7:30 pm - The dressing room is packed with players from both teams. An excited energy fills the room and we Penguins keep track of who from our team is arriving. We are hopeful that everyone will make it and of course everyone does. 755 pm - Just before leaving the dressing room I take a selfie with teammate Erica Ferguson. This is the second year in a row we have competed in the championship game on the same team together. 8:00 pm - The game is about to begin and as number 5 of the Penguins I have the honour of being the first of our team onto the ice. As I wait on the blue-line listening to the announcer call the names of my teammates, I survey the stands. It is great to see that friends and family, as well as fellow GHL players have come to watch us play. I see a Penguins flag hanging in the stands in support of our team. After having the pleasure of listening to Kim Puszczalowski sing Oh Canada we are ready to play hockey! 1st Period - It's been a tough first period with no score. I hang back on D and keep an eye out for those speedy forwards who will get by me if I don't pay attention. Coaches Matt and Chris have been great on the bench, trying to keep us calm and focused. They give us tips and strategies that make me feel like a real hockey player instead of the beginner that I am. 2nd Period - Into the second period and the Penguins are on the scoreboard thanks to a beautiful goal by Lisa Taylor. New to hockey and even newer to playing center, Lisa had an ear to ear grin on her face as she skated by the bench after scoring her goal. 3rd Period - We were able to hold off the Flames until only seven minutes left in the game. 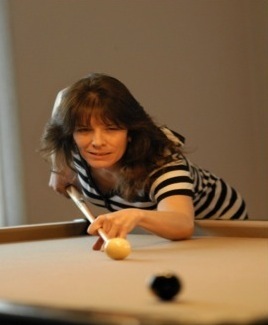 Kathy Weier made her way to the net and fired one in. Now a tie game with only minutes to go. The Shoot-out - We're into a shoot-out! So much pressure on individuals while the rest of the team watches anxiously. It was great to see Mike P score a very pretty first goal of the season on his shoot-out attempt to match Dave Mandula's goal for the Flames. Back and forth for six rounds until Peter DeJong was able to sneak the puck past Scott. The Flames are the 2013-14 Minor Champions! Trophy - For the second year in a row I take home the silver instead of the gold but that's okay - I'm happy for the Flames as they've worked hard for their victory. 9:45pm - The 2013-14 winter season is officially over. We discuss the game in the dressing room. Both teams agree that our game was exactly what a championship game should be. Clean, fun competitive hockey in the GHL spirit. No penalties, no issues just a great back and forth game of hockey that came down to a shoot-out. Some consolation for the Penguins was seeing the look of joy on Peter DeJong's face when he scored the winning goal for the Flames. 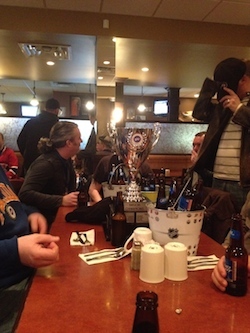 Silk's - The post-game festivities at Silk's have always been an important part of the GHL winter season. I sit with several of my teammates as we begin to wind down with some beverages after an exciting game. We all agree we've had a great season and look forward to the next. Goodnight - Well, it's 2 am and it's all over, what a great day. As I replay the highlights in my head, once again I think to myself, Hockey just doesn't get any better than this. 8:00 am - woke up to the Hockey Night In Canada theme song and then I realized it was game day....I jumped out of bed and started thinking about the outcome of tonight’s game.....can we do it?? 9:00 am - making breakfast for the kids as we have to get to the arena for my daughter’s play-off hockey game....they have already won the first three......let’s see how this one goes! 10:00 am - on the way to the arena.....time to tie skates and make sure everyone has their mouth guard and neck guards on. 11:00 am - GAME TIME!!!!!!!! 12:00 pm - The Green Scorpions win their 4th straight play-off game leaving them undefeated in their season! 1:00 pm - having a salad for lunch and checking my e-mail......there it is our team e-mail from Rob......now I am even more pumped.....Let’s do this Flames!!!!! 2:00 pm - stopping at McDonald’s....have to feed the kids at some point in the day and who has time to cook....I have a championship game to play tonight. After all, I have to save all my energy for the game. 3:00 pm - Contemplating a nap....according to Linda and Kathy we should always get our 20 min nap in........I can’t sleep.......The Flames are playing a CHAMPIONSHIP game!!!!!!!! Who can sleep at a time like this????? 4:00 pm – time to check my hockey bag.......every piece of equipment is accounted for. 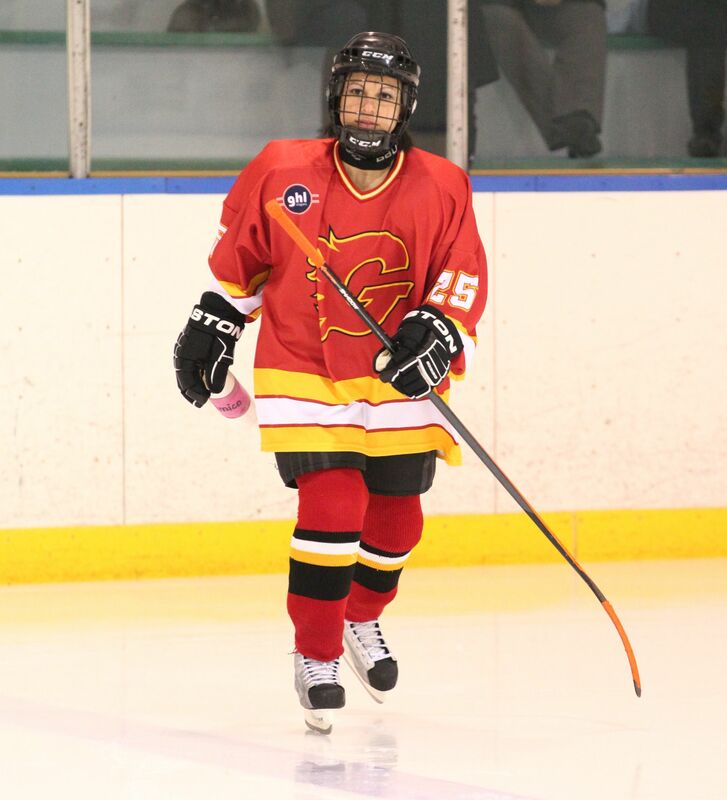 I just realize - this will be my last night wearing my Flames jersey.....I don't want this season to end!!!!! 6:00 pm – Time for something to eat....who am I kidding.....I can’t eat!!!! Ok.......a small salad....One more hour until the BIG Game!! 7:30 pm – at the arena.....getting ready......we are all pumped in the dressing room yet we all have butterflies. We are all anxious as we get ready and mentally prepare for the game....NO ONE TOLD ME THEY ARE CALLING OUR NAMES....this was neat and I think exciting for most of us as we stepped on the ice!!!!!!.. 8:00 – Standing proud as we sing the national anthem....... and the puck has dropped!!!! The Flames are playing the Penguins in the GHL Minors Championship game!!!! Period 3 - Kathy Weier ties the game with her first goal of the season!!!!!!!!!!!!!!!!!!!!!! The Flames are back!!!!!! Rob and Joanne are thinking strategy.....what to do next???? The period ends with a 1-1 tie. Shoot outs it is......who will get the game winning goal????? Dave Mandula gets one past the goalie!!!!! The Penguins get one past Richard....Oh Noooooo!!!! 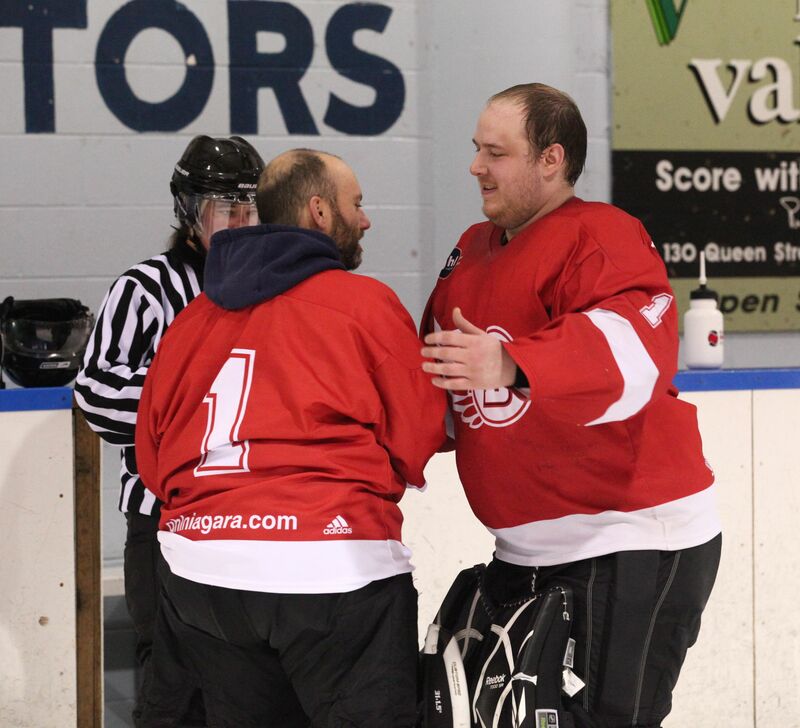 After a few more shots by Tom, Dom, Shar, Cory and Sam, Rob calls Peter Dejong to take the next shot....he skates down the ice and just when we least expected it takes a shot and SCORES!!!!!!!! The FLAMES WON!!!!! The Flames are the Champions!!!!!!!!! PETER is our champion!!!! Now on to our medals ceremony!!! It was surreal!! It was a moment that I will never forget,especially when I almost knocked Rob over cause I almost forgot to stop!!!! Celebrating with each and everyone of my teammates....except for Tina......we missed you girl!! This is as a moment I will treasure forever!!!! 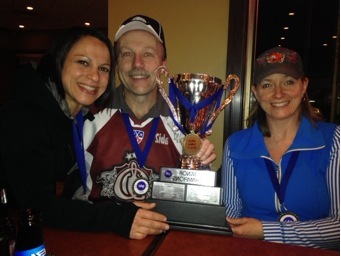 The best feeling must have been walking into Silks with the cup and knowing that our amazing coaches Rob Peto and Joanne Michaud along with all the hard efforts of our team brought us to this amazing win!!!! We held our heads up high yelling “HELL YEAH!” each time another one of our teammates joined us. We sat there and recapped some of our best and of course funniest moments as a team. There are so many great things to say about this night....especially all the shots that came our way! Thanks!!! I loved it when Richard put his play off hat on the cup....we have to keep it warm I guess! At one point we were kind of down when we learned the GHL Habs were losing 2-0.....cause we all know the NHL Habs won that night and after a well fought game the GHL Habs came out with a 6-2 win.....HELL YEAH!!!!! 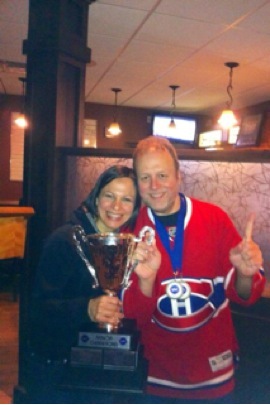 As the night went on and we had a few more shots we had to yell another “HELL YEAH” for Joanne, Rob and all the Habs as they walked in!!! A double win for Rob and Joanne!!!!! As many of us were celebrating I am sure we all noticed James Bell trying to pretend he did not notice the Oilers were losing 8-1....LOL!!!! So.......at the end of my long boring story about the events of my day that led to the most exciting part of my night I want to extend a very special thank you to Dave Hurst for not believing in me and sending me off to the Flames......I couldn’t have asked for a better team to be traded to!!! You are all an amazing part of the beginning of my hockey career.......I hope that we all meet up again! Thanks Rob, Joanne and all the Flames.....my first year in the GHL will never be forgotten. My name is Steve Jeffries. I am a major goalie for the Red Wings. I have been playing in the league since January 2009. I have won the best goals against award twice, and am a minor division champion. This year I got to play with a very good team. 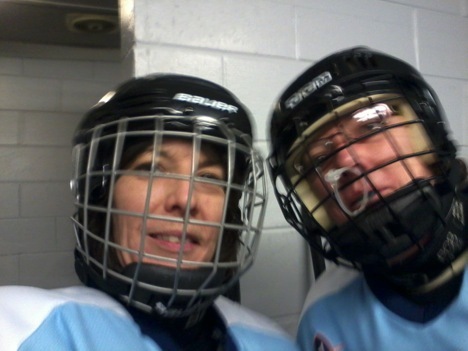 We always had fun on and off the ice, sharing many many laughs, usually at each others expense. I still recall being chirped by my own team during the 8-4 crushing by the Bruins. It was always fun, even when we were losing. 7:30 am – I am waking up for work. Had trouble sleeping due to the excitement for the game. Going to make oatmeal for breakfast. Hoping for a nice and easy shift today so I'm not as tired for the game. 2:30 pm – Just plugging along doing my work. Planning my evening in my head as I work. Trying to decide what I want to eat for my pregame supper. 4:30 pm – Finishing up my shift and going to eat dinner. I decided on Harverys since its close and I get discount :-) I do love me a good burger. 7:00 pm – Getting my gear all packed up, getting ready to leave for the rink. Burned myself a mixed disc to listen to on the car ride to get pumped up! 8:55 pm – Heading to the dressing room to start getting dressed. Always give extra time to stretch and make sure it fits right. Plus want to see end of minor game. 10:00 pm – Heading out onto the ice for the opening ceremony. I love standing out there listening to the anthem. Helps get me focused. 10:25 pm (end of 1st) – At the end of the first we are up 2-0 thanks to some really strong play. Just need to keep it up. 10:45 pm (end of 2nd) – We are down 3-2 heading into the 3rd period. Loose play in our own end and turnovers gave them scoring chances which they capitalized on. 11:05 pm (end of 3rd) – In a heartbreaking period, including an empty netter, the Canadiens scored another 3 more to win the game 6-2. More of the same from the second period. Sloppy play and weak goaltending. 11:10 pm (post game ceremony) – We are receiving our silver medals for second - it’s a small consolation for the way we lost the game. But now I get to look forward to beer and wings with my great teammates. 11:25 pm (dressing room) – A lot of chatter and stories being shared. Not a sad or happy mood - just everyone packing up and getting ready to head to the bar. 1:30 am (at Silks) – We have been at Silks for awhile now and are downing a round of shots of jack and of tequila . My kitchen sink wings were good. I am really enjoying hanging out with everyone and the laughter. 2:00am (bed time) – I am just getting home from the bar. Roads are dead so it was quick to get home. I am exhausted. I hang my medal next to my others and fall onto my bed and fall asleep since I have to be up at 7:30 am for work again. We may not play for money or for a roaring crowd. We may not be very skilled or fast. We do however have the privilege of getting to play the game we love in a league that is filled with funny, caring people who are there to help and support each other. In a place that no matter where your from, where you live, who you are ... you are warmly welcomed into the GHL family. 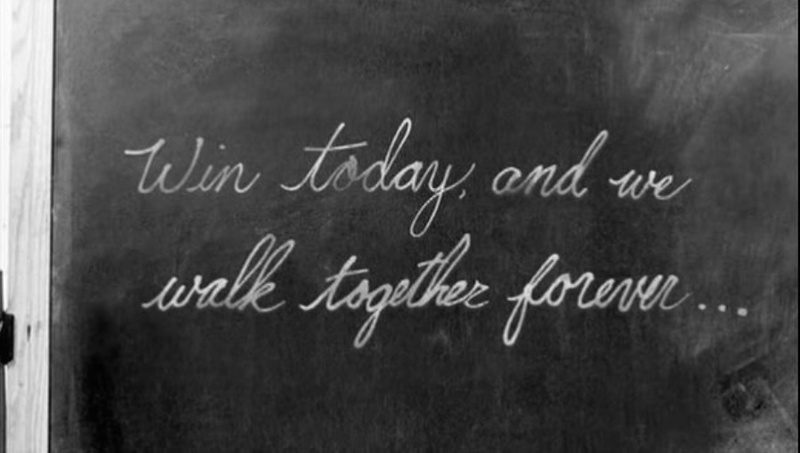 Every night there might be winners and losers on the ice, but at the end of the day every one of us is a winner. 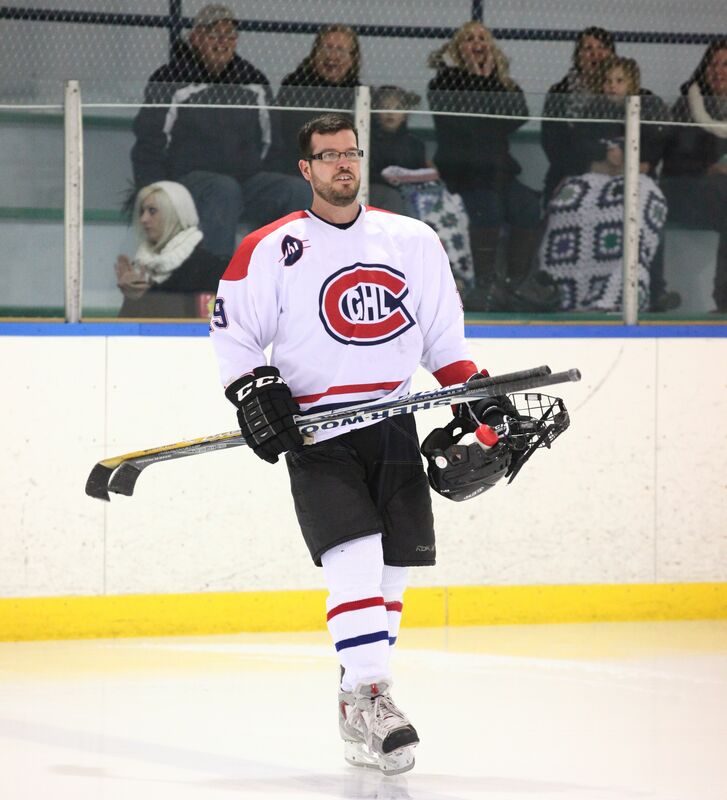 My name is Andrew McGrath, and I have been a part of the GHL for 7 years, as a player, coach, and GM. 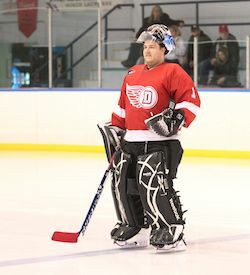 I was lucky to be able to coach an awesome Minor Penguins team to the finals in 2009 (where we lost to pesky Joe Copeland's Canucks in a shootout - we had a rookie goalie in Steve Jeffries who had played a full 2 games in net before the playoffs began!). I've won one summer cup, and was on teams who were both successful in their trips to the dance in the Major Finals - Hawks in 2010 (as player and GM), and Senators in 2012 ... Here's hoping that even numbered years are good luck for me and the Canadians this year!! 9:00 am - Woke up this morning, well rested and looking forward to my 3rd trip to the finals as a Major player in 5 years. I've been on a lot of good teams, and this year has been no different. 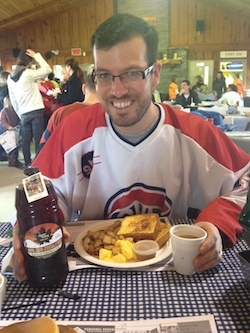 11:00 am - My wife, Sarah, and I made our annual trip out this morning for the most Canadian breakfast we could ... Pancakes & Maple Syrup at the Agape Valley Sugar Bush. I couldn't resist wearing my team colours as I enjoyed breakfast! 1:00pm - After doing some work around the house, we began preparing not only for the game tonight, but for our pre-game BBQ with some of our closest friends who are a part of the GHL family! Nothing prepares you for championship hockey like friends ... and STEAK!! ... oh, and some delicious jalapeno poppers!! 3:00pm - Forgot to wash my hockey gear, but thought that airing it all out for a couple days was enough ... those closest to me had no problem telling me otherwise, and reminded me that it's always better to wash it every week. 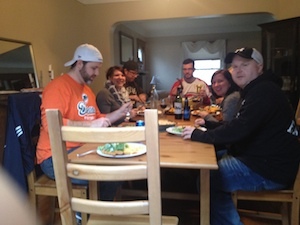 5:00pm - Friends began to arrive, steaks in hand, for an awesome pre-game meal. The GHL has always been as much about friends and family as it is about hockey, and when you add a BBQ filled with steaks, and an oven filled with twice-baked potatoes ... you just know you're in for a good night ... little did I know that that fuel was going to impact my brother-in-law, Mike Jeffery, the way it would. There was a chance for 3 of us to come home with some hardware tonight! 9:15pm - With the Minor Championship game coming down to the wire, I wanted to get my gear on early so I could watch the exciting finish, and what a finish it was as the Flames pulled it out in a shootout, with 2 friends of mine, Dave Mandula and Peter DeJong scoring the only shootout goals for the Flames - Peter's being the Championship winning goal!! 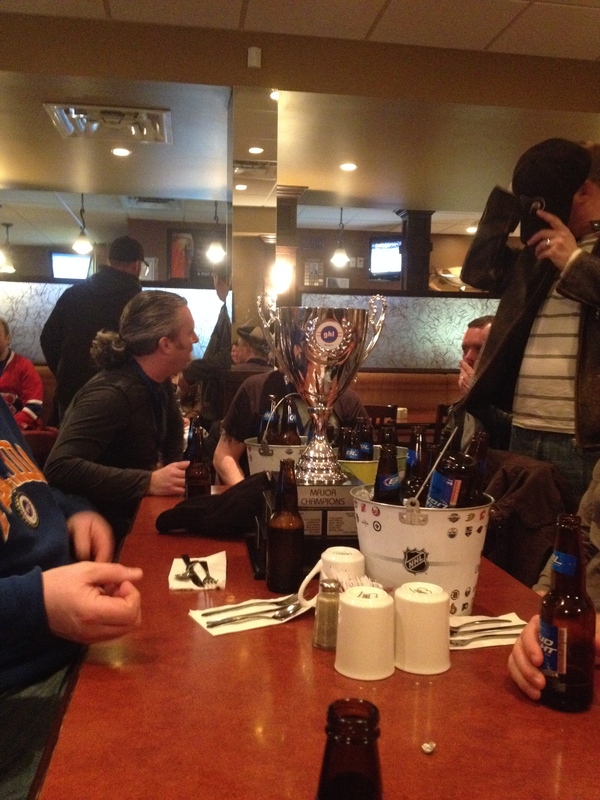 9:30pm - In the locker room, with the GHL Major Cup in the centre of the room, a usually raucous group was quieter than usual. The long wait for the start of the game was beginning to take its toll as nerves may have begun to sneak in, or just the anxiety of wanting to get out there and finally play some hockey. 9:45pm - GAME TIME - It's always great to be introduced with your team for the Championship game, and getting ready to play in front of a packed crowd. But the excitement began to wane a bit in the first as we came out completely flat, and quickly fell behind 2-0. I was told later that night, that some of the fans thought that we were done for at that point! All of that changed, however when Paul Humphrey scored for us early in the 2nd period!! Paul, like a number of players on the Canadiens, got better every game we played. In this game he worked hard on every shift, his goal lit a fire under all of us, and we began to make our comeback. As we began to loosen up a bit, and our pace quickened, Mike Jeffery began to take over ... scoring 3 goals and adding an assist as for the 2nd and 3rd periods it seemed he was a step ahead of everyone ... including me as we went offside on a two-on-none breakaway. In the 3rd period, we got a major scare when Tim Salisubury went down, and needed to be helped off the ice. Though he wasn't able to return to the ice, his leadership helped us as we killed off a 6-on-3 with the Wings net empty and an extra attacker on. 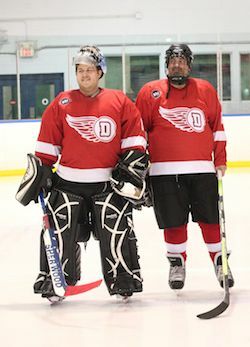 11:30 pm - In the end, it was an opportunistic offence which began with some great forechecking, pressuring the Wings all night long, some key saves from Vezina candidate Rob Peto who all season has been our favourite backup goalie to Nigel Davis who again blocked a barrage of shots, which allowed us to pull away with the victory!! And though I wasn't there to the end, it can be easily assumed that many of the Canadiens were still celebrating to the early hours of the morning! I would've loved to stay, but alas, I was preaching in the morning ... still, it was another great GHL Championship Saturday in Virgil!! Thanks everyone for a great season, and thanks especially to the Canadiens ... though this was my 3rd championship in 5 years, this was the most well-rounded, and least-individualistic team I've ever played on!. 1:00am - Somehow, this actually felt early to be heading to bed. About a year ago I decided it was time to start playing hockey. I thought how hard can it be?? I was super excited so off I went to buy equipment and then it sank in.....this is real.....I am going to be playing hockey with people that know what they are doing......this is NOT driveway hockey with the kids!! I started to get nervous! I don’t know how to play hockey.....I only watch it! Off I went to GHL “try outs”. That was the night my “skills”....or, lack of them, were being tested to see where I would be placed for summer hockey. Well, a few weeks later the verdict was in. I was a Penguin! 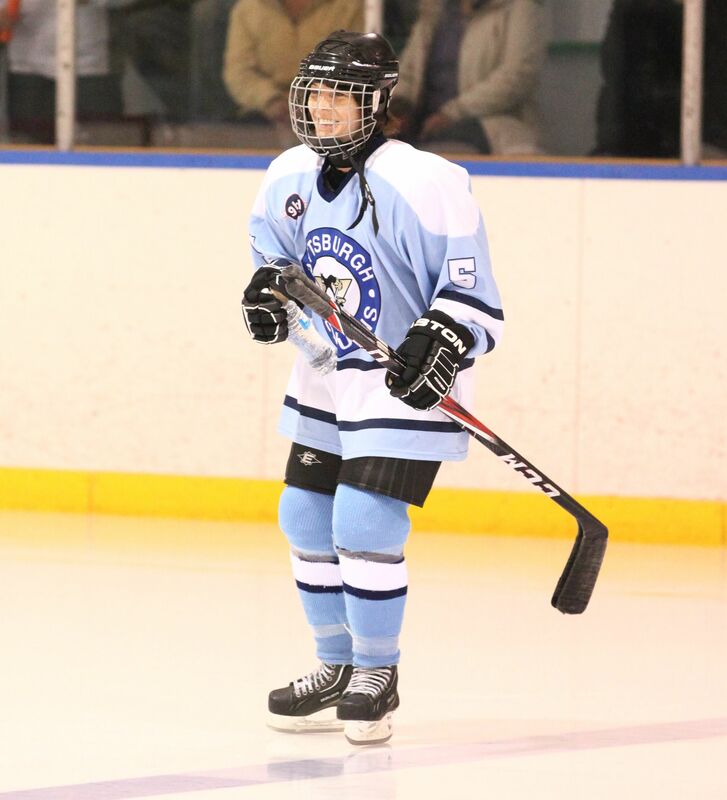 Here I was Gina D’Amico playing GHL hockey as a Penguin. I began my first summer season with Scott Turner heading the bench. Encouraging me week after week that I am getting better and that I will eventually score a goal! The summer season came and went and I was addicted! So, I signed up for my first winter season with the GHL. Well, little did I know that things can get pretty serious in the GHL and you don’t just get an e-mail telling you what team you are on....there is an actual summer draft and bbq of course!! If there is anything I learned while playing hockey it is that there is always beer and where there is beer there is usually food!! I didn't know what to expect so, my family and I got comfy waiting for the draft to begin. Here I am thinking I would be dead last cause who the heck knows who I am..... I just started with this league. They announce that they will be making the first draft for Dave and Yoko Hurst's Canucks team....and the first pick was ME!!! I couldn't believe it!! The winter season started and we were doing our best, but obviously not good enough for Dave. I received the notification that I was getting traded. I guess I wasn't producing enough for the Canucks or simply just NOT "keeping my stick on the ice"!! Lol!! We all know that Dave is not shy about telling you how it is and we also know he doesn’t care where he is telling us from!! 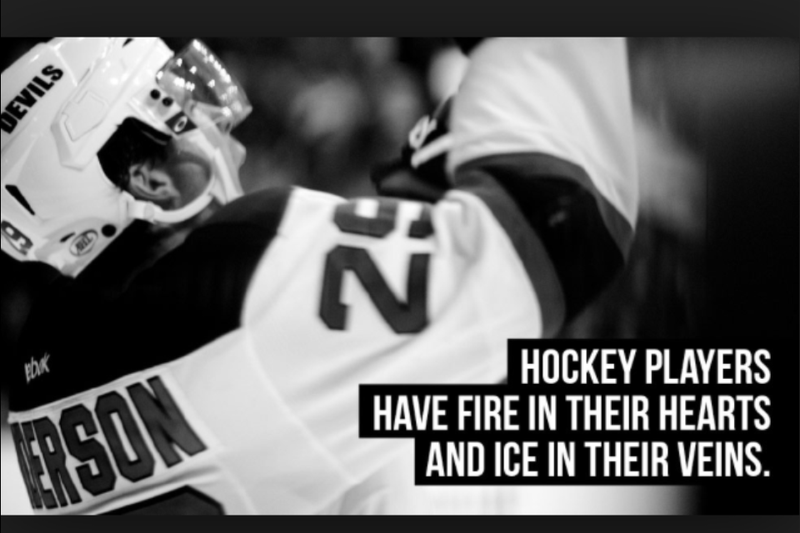 I had to leave behind a great team....I was now part of the Flames.